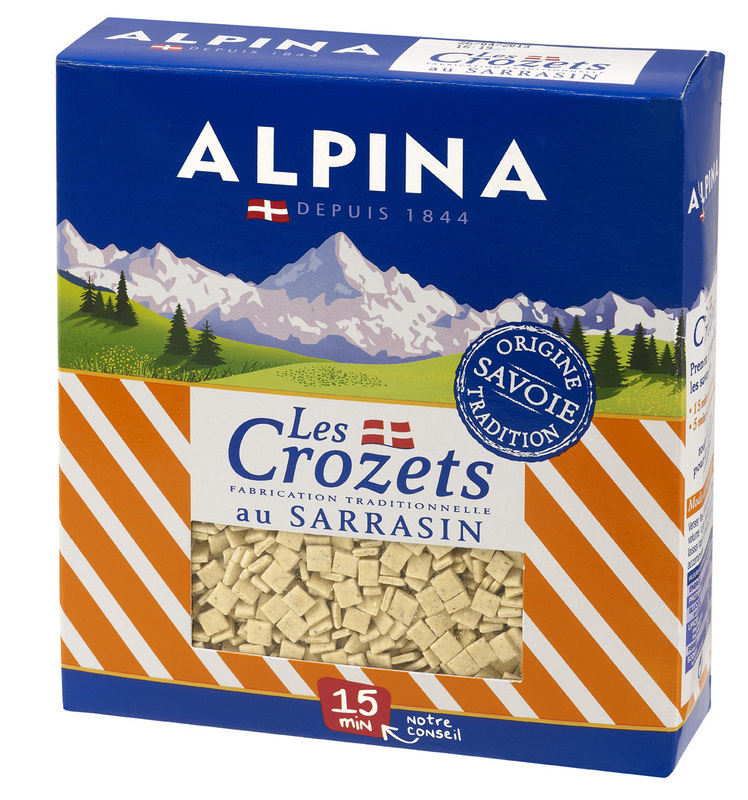 The Buckwheat Crozets are tiny square pasta from the Savoie region of France, made from semolina, wheat and fresh eggs. Wheat, Buckwheat, fresh eggs (20%), salt. These thick and tender pasta (which are promoting for centuries the image of Savoie pasta tradition) are very popular in Alpine resorts where they are savoured alone or in “la Croziflette”, a gratin with cheese, raw ham, onions… Buckwheat crozets, cooked up tender and al dente, are also perfect to use in gratins with goat cheese or meat juice.